Welcome to this cute two story home conveniently located just minutes from all eastside conveniences. 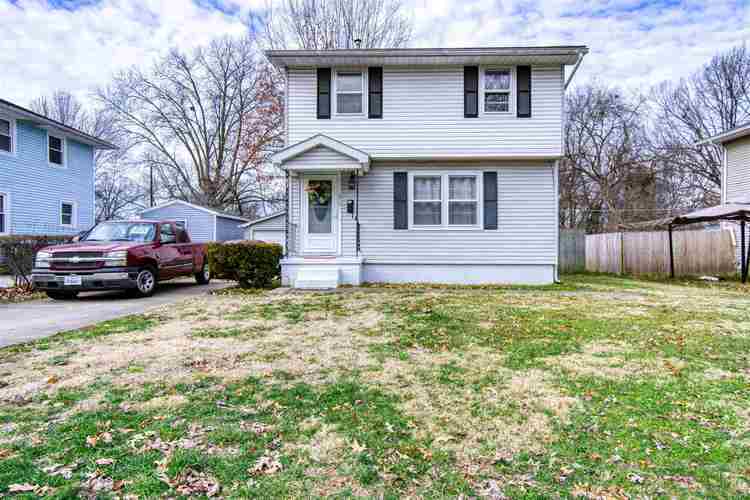 You will find the large living room, laundry room, kitchen, and half bathroom on the first floor and upstairs awaits three nicely sized bedrooms and a full bath. Roof, Furnace and Air Conditioner are three years old. Washer and Dryer are each six months old. Refrigerator, Dishwasher, Range and Cook Top are four years old. Detached garage has a workshop and/or storage area. Backyard is big enough for family gatherings and is partially fenced in. Seller is providing AHS Warranty for Buyer's peace of mind. Directions:East on Covert, North on Parker.